Is home solar battery storage a good match and your energy consumption habits? Each household uses different amounts of electricity in different patterns throughout the day. Some consumption patterns are more conducive to battery storage as an investment, and knowing your consumption habits can help you to decide on the best solar system and battery bank size for your home. In this article we take a look a few examples of how battery system payback times differ depending on consumption habits. Simplified versions of these patterns are illustrated in the chart below. Homes that use more energy may fall into the same general pattern than those who use less, but household amenities like pools may alter their shape. It’s worth bearing in mind that these patterns vary day by day, season by season and home by home. Nevertheless, they serve as a useful guide for homes in that they can bring awareness to an area that many people give little thought to; this awareness is the first step towards choosing the right system size. Compare solar & battery storage quotes from installers in your area! Simplified illustrations of common residential electricity consumption patterns. The problem is that not everyone is home to use their solar energy during the day – which is where battery storage comes in. Batteries offer the promise of making stored solar energy available even after the sun has gone down. Fortunately, battery prices are coming down fast and an investment in batteries is starting to make sense in most of Australia’s capital cities. But batteries promise more than just financial benefits; households are attracted to the prospect of increased energy independence and having backup power in the event of a blackout. With batteries more affordable than ever, ‘early adopters‘ are already making moves to have battery banks installed. The battery storage early adopter is someone looking for a balance between the advantages of increased energy independence and measurable energy bill savings. Even if the returns are not fantastic, they want their batteries to work to earn their keep; this means a system that is as well-suited to their needs as possible. Which consumption pattern is the best for solar and batteries? 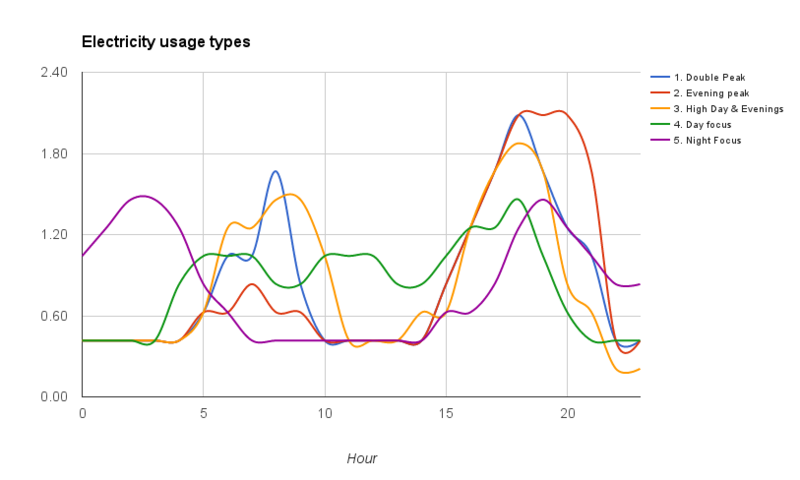 We took a look at four of the above five consumption patterns (Double Peak, Evening Peak & Day Focus) in four of the best cities for battery storage (Adelaide, Brisbane, Perth & Sydney) over two energy consumption levels (20kWh/day and 30kWh/day) to figure out in what circumstances batteries made the best possible financial sense. We also looked at tariff types, with flat/block tariffs using solar charging only, while for time of use (TOU) tariffs we compared a solar-only charging situation to a situation in which energy from the grid was used for ‘pre-charging’ the batteries at 30% of capacity every day (thus unlocking potential additional savings from tariff arbitrage). All retail electricity plan details were sourced from the EnergyMadeEasy website. 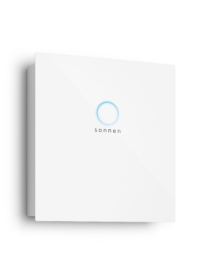 sonnen’s eco is an expandable, all-in-one battery storage solution that comes in a range of sizes. This article uses the sonnen eco 8.4 unit in examples. While this product is not the cheapest on the market, it is one of the highest quality, with one of the best cycle life figures available and only 10% degradation over its warranty period of 10 years. See more battery products in our Battery Product Performance Comparison Tool. Please note that the scope of our investigations is necessarily limited (there are countless situations and scenarios that we could look into), but we hope that the results will nevertheless shed some light on the economics of home battery storage – and which homes are likely to get the most out of it. The table below (click to enlarge) gives the results of our analysis, by city, tariff type & consumption level. The shortest payback periods are highlighted in green, while the longer ones are in red. Yellow and orange cells are in the middle. All analysis was undertaken using SunWiz’s PVSell software. If you’d like detailed infographics for each scenario, please email the author on james@solarchoice.net.au. The ‘High Day, Evening Peak’ consumption pattern showed the best returns in all scenarios, followed by the ‘Day Focus’ pattern. This is mainly because homes that have this consumption pattern are in the best position to directly self-consume their solar energy. The scenarios that modelled patterns with a greater amount of non-daylight consumption (i.e. Double Peak and Evening Peak) were less able to take advantage of their solar energy as it was produced, and the batteries were only able to hold 4kWh to carry over into the evenings. If you read between the lines, the fact that the daytime consumers get better returns on their systems indicates that it’s the solar – not the batteries – that are delivering the most value. This shouldn’t really be a surprise for anyone who’s been paying attention to the Australian battery storage market, as a number of analysts and industry watchers have independently pointed out that this is the case. It’s for this reason that battery storage is still in the ‘early adopter’ phase – it’s got clear value, but is not yet a financial ‘no brainer‘. The other thing we should notice here is that the scenarios with the best returns and shortest payback periods were all ‘high consumption’ scenarios, where the home used on average 30kWh per day. Heavy electricity users are indeed the best candidates for rooftop solar (and batteries), but if your household is small (fewer than three people) and your electricity consumption level is low (e.g. under 20kWh/day), then a solar-only system is probably up your alley. Don’t discount the power of batteries completely, though – a small system might be worth your while, or you might simply decide to wait a year or two when prices are expected to be a bit lower. In theory, one of the secondary ways to save money with batteries on a TOU tariff is to ‘pre-charge’ with cheap off-peak electricity and use the stored energy to help meet early morning household energy demand. As our scenarios reveal, however, pre-charging batteries automatically every day does not necessarily yield higher savings. Even in the best cases, payback periods are only reduced by a matter of a month or so with this tactic. In the worse case, mindlessly pre-charging can actually result in a lengthening of the payback period. One reason for this is that the solar panels have often already kicked in by the time the home’s occupants start using electricity, meaning that there was no need to pre-charge in the first place. 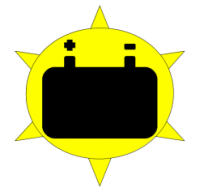 Unfortunately, PVSell’s software cannot model predictive/selective pre-charging, in which a energy management system behind the battery’s operation ‘looks at’ the weather forecast for the day and decides whether or not to pre-charge. This more strategic approach could potentially yield better results than the automatic 30% daily pre-charge that we’ve modelled here – and there are already plenty of products out there that can implement this sort of intelligent approach. Furthermore, a drop in battery prices will help to improve the basic economics of pre-charging. Watch this space! Greetings James. I think two extra parameters would be helpful in extracting further meaningful data. Firstly, add a 10 kWh daily consumption. Secondly, calculate for a Tesla Powerwall 2 that has 13.2 kWh storage capacity at a continuous output of 5kW with a peak of 7kW. In my case, where I use around 9 kWh per day over the course of a year (without too much difference between summer and winter because we have a highly efficient, reverse cycle A/C used minimally), the new scenario I am suggesting could well be the best balance. The importance of reducing one’s consumption still applies even though PVs are now so cheap and batteries are becoming cheaper as I type! Hi Gregory. I’ve taken this feedback on board and will look into updating this article. In the meantime, you might be interested in checking out this more recent article of ours which contains a solar/battery system sizing table. What size solar system have you got? I imagine that like most homes it’s around 4-5kW? Judging by your low energy consumption levels, it would seem that a Tesla Powerwall 2 would be a bit large for your needs (i.e. you wouldn’t be fully discharging it very often) but that you’d have a good amount of energy independence (if that’s your primary goal). I totally agree that reducing consumption in the first place is the first step to making the most out of solar & batteries! And sounds like you’re doing a pretty good job of that so far.